Comment: We are looking to replace a deck that sits on a crumbling retaining wall. We also need to redo steps that wind down from the deck to a walkout basement. Possibly put in stone patio in front of the walkout- love to have a pergola over that. Comment: We bought a new home that was completed last November. The builder will be installing sod sometime this spring summer but we are responsible for any landscaping, of which there is currently none. We are thinking about doing it ourselves but wanted to get a rough idea of what it would cost to hire it out. We are thinking of just doing landscaping surrounded the house, with basic plants/shrubs and likely would do mulch over rock but not 100%. Likely would be done before the sod is in so hopefully a bit less labor not having to deal with tearing up any sod. Comment: We're removing an above ground pool and decking. Looking to have backyard completely re-sodded. Would like a cost for now and design options for future work. The backyard faces the West and receives almost all day sun (besides morning). Osseo Landscaping Companies are rated 4.81 out of 5 based on 188 reviews of 31 pros. 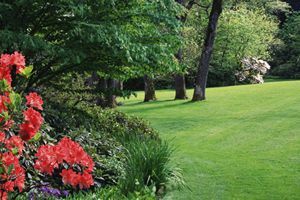 Not Looking for Landscaping Contractors in Osseo, MN?